My favourite part of Prince's Twitter debut was when fans started replying "I'd die if you'd tweet me" and he spent 10 minutes tweeting back: "There. RIP". 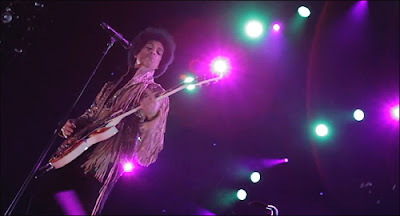 For those who managed to hold on to their mortal souls, though, he had another treat up his skinny purple sleeves: A flawless, 10-minute version of She's Always In My Hair, filmed live in Denmark last week. Put this on full screen, sit back and drink in the awesome. Absolutely brilliant.